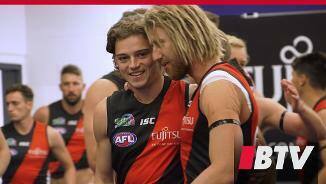 Athletic recruit who impressed as an over-age player for the Geelong Falcons in 2018 before being swept up by the Bombers with pick 72 in the NAB AFL Draft. 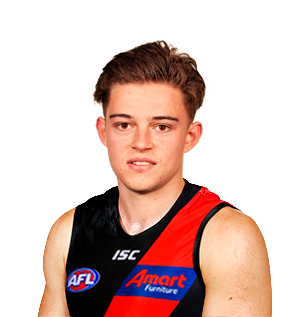 The 19-year-old finished second in the best and fairest for the Falcons behind eventual No.1 draft pick Sam Walsh after booting 22 goals from 16 games and being named among his side’s best players 10 times. Ham showed great versatility this year, being utilised in the midfield, forward line and even occasionally at half-back where he showed a good ability to rebound and turn defence into attack for the side. A clean user of the ball with good goal sense, Ham’s biggest strength is his speed and agility, which will allow him to be used in a variety of ways in 2019.